Social media has quickly become the way to put a face on your company in an interactive and contemporary fashion through Facebook, Twitter, YouTube, LinkedIn. Therefore social media should sit among other existing ways to promote your company to searchers and should provide a way for you to have a sustainable relationship with them. How to define the company brand? How to make the brand known? Who should represent your brand? How do you engage people online? What do you do if people talk good or bad about you? How do you find brand advocates and what do you do with them once you’ve found them? How to hire/manage the growth of a company social media plan? If you understand that social media could possibly work for your business, we are here to help you start and manage it. There are multiple packages designed to suit any budget and campaign, contact us for more information and prices. You can use one, more or all of them in the marketing strategy and we will set up and manage them for you. The idea is to communicate with as many people as possible in order to bring more traffic and knowledge about your company. A social media marketing plan can be as simple as having a company blog, a Twitter account, or attaching "Follow us on Facebook” or "Tweet This" tags to the end of articles. It can also be as complicated as having a full campaign that encompasses blogs, Twitter, social networking and viral videos through YouTube. Setup a Facebook custom branded profile page. Establish the volume of status updates per day/week/month. Direction of 'Following' to helpful information related to industry, service awareness & other social media profiles. Optional 'Following' advertising management within Facebook. Report on traffic generated from Facebook referral source. Setup a Twitter custom branded profile page. Continued development of Twitter following. Report on traffic generated from Twitter referral source. Create and setup on optimized YouTube account. Upload & tag existing video base. Interact with people, comment on relevant videos for improved awareness of video library. Report on traffic generated from YouTube referral source. Setup a LinkedIn custom branded profile page. Generate content and update constantly. Interact with people, and make yourself known. Respond to comments, questions, and suggestions left by friends, followers or contacts. Report on traffic generated from LinkedIn referral source. The social media marketing represents a consistent work. The need of establishing relationships with reference poles and brands (with big social media network) is a constantly growing need. 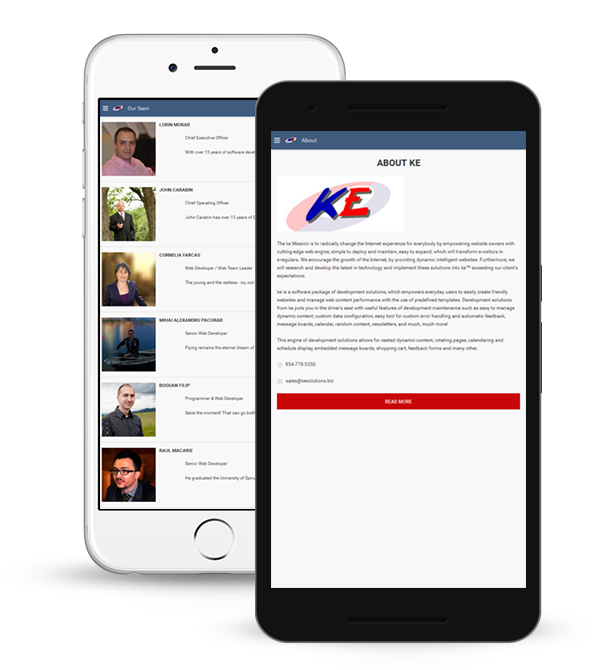 Ke is here to do this work for you so you can sit back, relax and enjoy the results of our work. We are available to advise you about the media trends and to answer your questions.